Essex County Council today voted on a motion to show support for LTC. 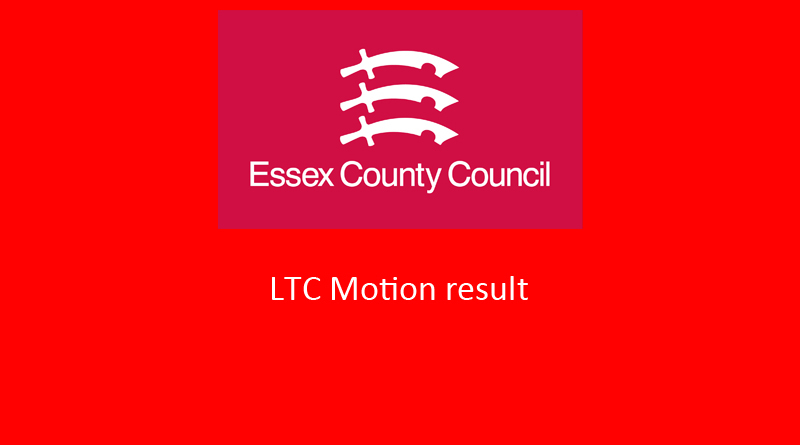 As you know we emailed every Essex CC Councillor with some facts about LTC and asking them to kindly consider voting against this motion. We normally try to avoid politics in all matters relating to LTC wherever poss, but due to the nature of this write up there will be mention of Political Parties. We had a couple of responses to our email, the Councillor out of those who actually asked for more info and wanted to discuss with us was Cllr David Kendall (Lib Dem) for Brentwood South. We would like to thank him for taking the time to communicate with us, and the Lib Dem group led the opposition to the motion. Cllr Kendall spoke and so did his colleague Cllr Andy Wood. At the end of the speech Cllr Kendall asked for a recorded vote which was accepted. The Labour Group were going to abstain but in the end they joined the Lib Dems, a member of the Green Party, and a couple of Independents who all voted against the motion. Evidently all the Conservative group backed the motion with a couple abstaining. Cllr Kendall emailed me this evening with an update on how things had gone, which I would like to thank him for, as things escalated fast today so in the end none of us from TCAG actually managed to get to the Council Meeting to observe. He commented that he was sorry they were unable to stop this motion being passed but they did all they could to stop it and got a recorded vote so that people are very clear about who voted for and against. He enclosed a copy of his speech for TCAG records. 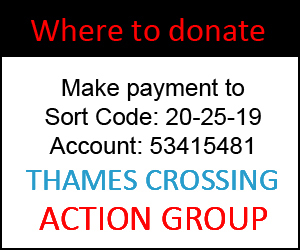 This Council should rightly have a view on the proposed Lower Thames crossing but I am disappointed to see that the administration is backing Option C.
I believe this Council should be standing shoulder to shoulder with the thousands of residents in the Thurrock who are against Option C. If this route goes ahead it will run a bulldozer through the green belt, It will increase air and noise pollution, and it will have a major impact on many established communities. This new road will have a very detrimental impact on many peoples lives. It will destroy homes, green belt land, ancient forests and have a serious impact on residents health and their quality of life. It will also cause planning blight for many years to come. Highways England’s own figures say that only 14% of traffic that uses the current Dartford crossing will use the new route. If that is the case then is the cost and all the destruction it’s going to cause really worth it? Anyone who uses the Dartford Tunnel crossing on a regular basis would like to see less congestion and less hold ups but I don’t believe option C is the answer. Rather than supporting Option C this Council should be calling on Highways England to reconsider the A14 tunnel option. The A14 option would improve congestion at the current crossing, it would complete the M25 as orbital motorway, cause far less environmental damage and could take as much as 40% of the traffic from the existing crossing. In my view the A14 tunnel option would deliver what the motion calls for namely sustainable local development and regional growth. We don’t have to destroy a communities local environment to achieve those aims. 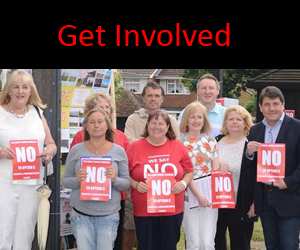 Essex County Council should be listening to the community in Thurrock by opposing option C and taking a stand with them against Highways England’s plans. The residents of Thurrock might not come under the control of this Council but they are as much Essex as you and I and deserve our support. Again we would like to thank Cllr Kendall and every Councillor who opposed the motion, I know we speak for so many when we say that their actions really are appreciated. Thank you for standing alongside each and everyone of us who are fighting LTC.